Viessmann has introduced two new air source heat pumps, the Vitocal 200-A and Vitocal 222-A, which boast innovative noise-reduction technology. 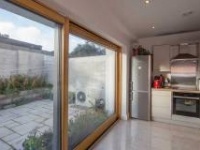 Both operate so quietly that they are suitable for densely built-up areas such as terraced housing estates, and both deliver high energy efficiency with low operating costs, according to Viessmann. 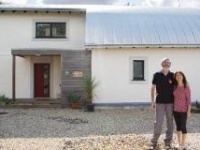 Homeowner Brendan Murphy started self-building his Cork passive house way back in 2010, long before the standard was trendy, and even chose to completely forgo a water-based heating system. So what did he learn from the experience — and how has the house been performing since? The line-up for the self-contained outdoor units now boasts 5kW, 8.5kW, 11.2kW and 14kW units, to make Ecodan suitable for almost any situation. 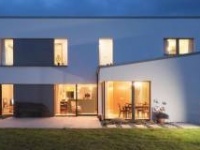 Geothermal heating is being specified by everyone from self-builders to developers to local authorities in increasing frequency across Ireland. 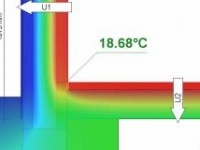 As a relatively new technology in Ireland, it is crucial that anyone considering a geothermal system knows what they are getting into, to ensure an efficient, reliable heating source. With over 20 years experience in this field in Ireland, Dr Paul Sikora, Vice Chairman of the Geothermal Association of Ireland explains what issues to be aware of when considering geothermal, from site suitability, to what to look for from suppliers and installers.